The industry was changing, and the 16-bit giants were about to fall into the bottomless pit of nostalgia. A new CDROM fueled era was upon us. Sega unleashed it's Saturn, and then was crushed by the mighty PlayStation. I, however, wouldn't have any of it. I played around on an old Windows 3.11 machine that we bought at a pawn shop (for probably way more than it was worth). And when the time came to get a new console, I debated the then already dying Jaguar. But that old cat was not meant for me either. 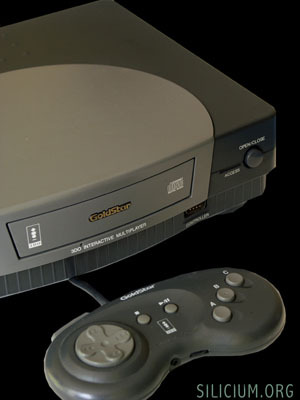 No, I was a true follower of the underdog, and had my heart set on a used Goldstar model of the 3DO. Yes sir, back in the day when independent used video game retailers still lived and supplied us with good deals. I remember that we got a decent deal on that 3DO, which cost us about $100, plus a game. And this, my friends was the epic that became another milestone in my underprivileged video gaming history of bargain bin finds. This was none other than Wing Commander III: Heart of the Tiger. 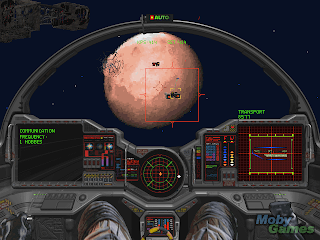 Since I already liked Wing Commander from playing the poor SNES rendition, it didn't take much to pique my curiosity. And when I saw Heart of the Tiger in action, I was one ecstatic little teenage boy. To this day there are few games with the caliber of the glorious Wing Commander saga, what with the genre practically dead and all. WCIII never disappointed me, well except maybe that it was a bit too hard for me at the time. And though I liked the gameplay, it was the story that truly drove WCIII home for me. Oh what a blow it was when Colonel Devereaux turned out to be dead! This was one more game which had me yearning for more. And it was one more game which had me replaying it, this time to see the minimally different endings. Say what you will about the days of FMV filled games. WCIII did it right, and they actually had an all-star cast! I remember many long nights with my trusty 3DO. I didn't need no stinkin' PSX. I was convinced that the 3DO was superior. And, well, it was. Just not for $700. It's demise just meant that all the games were dirt cheap, so I scored again. Other classics I enjoyed on that console included Myst, Alone in the Dark, Shockwave 1 & 2, Street Fighter 2 Turbo, The Need for Speed, and Dragon Lore among others. Eventually, in '96 or so, I got a new computer. Of course it was also overpriced. But a new PC meant access to all those crazy games out there that I hadn't yet a chance to play. I know I messed around with the likes of Doom and Duke Nukem, but I found them painfully boring with no storyline to speak of. And although many computer games even before that time were very enjoyable to me, games like Ultimate Domain, many of them were not especially ground-breaking in terms of storytelling. 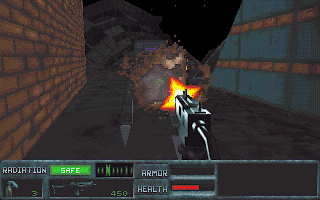 I think Terminator: Future Shock should get an honorable mention though. I've been a fan of that franchise for a long time, and Future Shock faithfully reproduced the universe while managing to tell the story from a different perspective and create an immersing universe for the player. Yet the bigger impact in terms of storytelling was made by Riven for me. 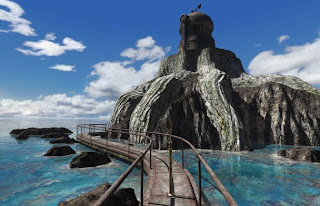 I was hooked by Myst on my 3DO, and when Riven came out I picked it up pretty quick. Though Myst had very little actual story, and thus forced you to piece it all together from very sparse bits of clues and info, Riven made up a bit in that department. More cinematics fed you greater and tastier morsels of the narrative, and it had me in the game for more. I confess that the puzzles wrenched my brain a little too hard at times. It was in a way a love and hate relationship. I wanted more story, but those puzzles drove me crazy. What made the story in the Myst and Riven universe so strong was the fact that Rand and Robyn Miller wrote it all into the Myst series of books. I still have all three novels, and it was reading them that made the stories in the game so compelling. So I suppose that without the books, I may not have been quite as interested. 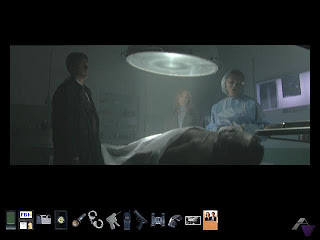 Another honorable mention should go to The X-Files for PC. Not too long after my excursion into Myst and Riven I was fortunate enough to get my hands on The X-Files adventure game which was released in the late '90s. I had found the game to be very engaging at the time, and not too difficult to figure out. So it was balanced well, and by the very nature of The X-Files, the story was sufficiently intriguing. Meanwhile, another big hit was about to creep up on me. My sister was playing around on her N64, which had a limited selection of quality titles at the time. 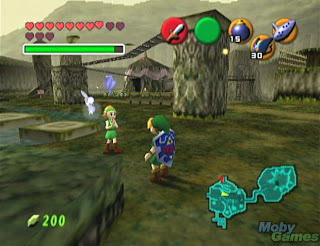 All of that was about to change when Nintendo released Zelda: Ocarina of Time. I can't remember exactly where I was at the time, and when exactly it was that got my hands on the game. This is because none of that mattered. All that mattered was Zelda. Just as before, with a Link to the Past, Ocarina of Time had me daydreaming about Rupees and Skulltulas. I was so absorbed that I had to get everything. Every item, every mini-game. I reared in frustration in the Water Temple, trying to figure the darn thing out. In the end, Zelda went on my very select list of games that I actually finished. That list would continue to decrease in percent as the years went by. As the prices on PlayStation consoles kept dropping, I decided it was finally time to buy one. The first game I owned on the PSX was a bargain bin find called Vandal Hearts. It was cheap, but that says nothing of the game's quality. The characters were very well done, and the story full of depth. Vandal Hearts had captured my heart, and I pressed on with each individual mission. This was the first isometric strategy RPG on the system, something I felt FF Tactics would later come to copy. 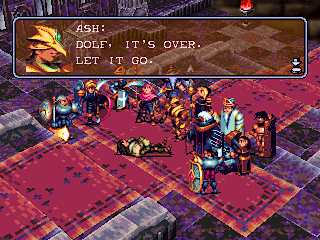 I became greatly interested in the characters of Vandal Hearts, and it was sad to say farewell when the story came to an end. One other thing that VH did so well actually was the ending. It was a nice complete denouement to the epic tale, and even gave a slight hint of something else to come (being the sequel). Just looking at the screenies now makes me remember how good the dialog in VH was. After that, the days of the PlayStation are filled with epic RPGs. More than any others in my mind are the Final Fantasies which graced that console in numbers only rivaled by the SNES days. I find it difficult to choose one as being more significant in terms of storytelling than the others. I loved them all greatly, but I suppose that the best story belongs to the ever popular Final Fantasy VII. Other aspects of the game may have been done better in other FF games, but the story still holds a special place in my memory. 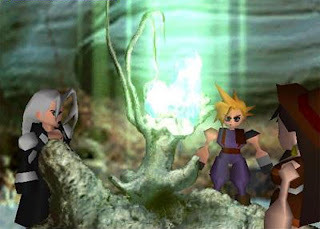 I think anyone who has played FFVII will remember the powerful moments between Cloud, Sephiroth, and Aeris. The untimely demise of Aeris itself has been noted as one of the greatest moments in a game in gaming history (by an article in a gaming mag that I can't remember now, does anyone else?). So too I was moved by it and by the whole game. In the end, I cannot help but give another two honorable mentions to the Final Fantasy VIII and IX games. Graphically they both surpassed VII, and part IX I will always treasure for its fantastic musical score. In summary, the games which get the prestigious Mentis Award for Storytelling are Wing Commander III: Heart of the Tiger, Riven, The Legend of Zelda: Ocarina of Time, Vandal Hearts, and Final Fantasy VII. Honorable Mentions go to The Terminator: Future Shock, The X-Files, Final Fantasy VIII, and Final Fantasy IX. In the next part of my completely subjective game awards I will be looking at the next generation of 64-bit sensations that flew through our homes and hearts. Read on!